[NEWS] 100228 Tohoshinking Taking Over ORICON Charts! is initially livening up the ORICON Charts, which is Japan’s most famous music ranking. which is the first time for them to reach the top there. as its highest position. This is the first time for them to reach the top from their debut in Japan five years ago. The popularity of their name has them sell over 400.000 copies in one week alone. and one should keep watching out for this charismatic group! We have no idea why we’re impressed of Jaejoong this much because every time we got a chance to meet him it’s always from distance. But His cutie aura keep flashing on us. He doesn’t talk much in order to continue his mysterious image but out of the blue he just did something cute and clumsy on his own. When he gets to talk,he can impress us with his touching speech for example we were talking about the pink wristband (Thai people wear it to show loyalty to the king) Jaejoong said he was wearing it because he wanted to be like Thai people. That’s why he always wears 2 wristbands every time he visited Thailand. Moreover the way he looks at the fans slowly from left to right and right to left as if he wants to keep every moment in his memories. Then he gives us a little smile or sticking his touch out or laughing with no reasons. He’s so focusing on loving one thing every time he visited Thailand, which is to ride the elephants.Also the way he gracefully paid respect in Thai way.All of these simple little things impress us more and more. [TRANS] 100228 TOP Again! NEW DVD+CD Pre-Sale At HMV Japan!! 6 albums out of the top 10 have made their first appearances. The winner of the first apprearances was Tohoshinki’s “BEST SELECTION 2010″! T/N3: Starting around 1:12. Break out is ranked 11th in the weekly single ranking. [Trans] 100228 Yunho Vegas! Planned to Leave On March 5! Particularly, a globally respected choreographer, Genevieve Cleary will lead the performing team of “THIS IS IT!” to the high-leveled perfection. 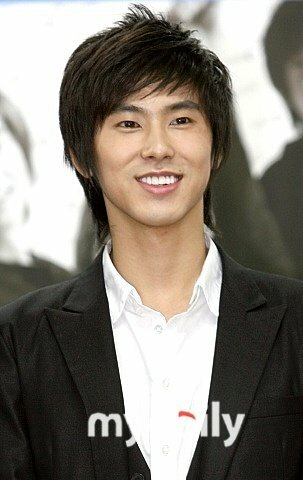 After completing the rehearsal of the performance, Yunho will return to Korea.